For 30 years, the experts with Action Garage Door have provided top-notch garage door repair services in Fair Oaks Ranch and other Texas cities. Our family-owned company has helped thousands of people across the region since we were founded in 1984. With a team of expert technicians passionate about exceeding customers’ expectations, we offer the best garage door repair and installation help in the Fair Oaks Ranch area. 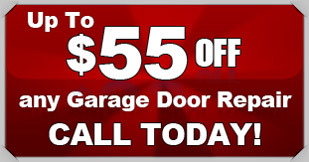 If you need garage door repair Fair Oaks Ranch, look no further than Action Garage Door. No garage door job is too large or small for our experts to handle. Whether you need minor maintenance or major repairs to the garage door at your Fair Oaks Ranch home or business, we’ll have the tools, equipment and knowledge necessary to get the job done right the first time. When you work with Action Garage Door, you can count on us to always work in compliance with local codes and to use high-quality products built to withstand the elements. Our experts can handle any kind of Fair Oaks Ranch garage door issue. We can fix your garage door opener and replace it with a top-quality model, take care of problem rollers, repair broken springs and more. No matter what you need, we will do whatever it takes to get your job done right the first time, with minimal disruption to your daily routine. Along with providing top-notch repair and maintenance services, we can help you choose and install the ideal new garage door for your Fair Oaks Ranch home or business. With our selection of models from Amarr, Classica, Chi and other top manufacturers, you can be 100 percent confident that your new door will provide worry-free performance for years. We’ll work closely with you to make sure your door not only operates reliably and easily stands up to harsh Texas weather, but also serves as a perfect complement to your residential or commercial property. When you need the best in Fair Oaks Ranch garage door repair, turn to the experts with Action Garage Door. To learn more about how we can help fix, maintain or install your residential or commercial garage door, give us a call or contact us online.